Comet Elenin: What does it mean? What Does Comet Elenin Mean? but that of the true Christ will endure forever! I am sorry for the poor quality of this email. I wrote it quickly and later edited it a little. which shows my progression of thought on this comet. Also see, "Final Update" at end of this article. 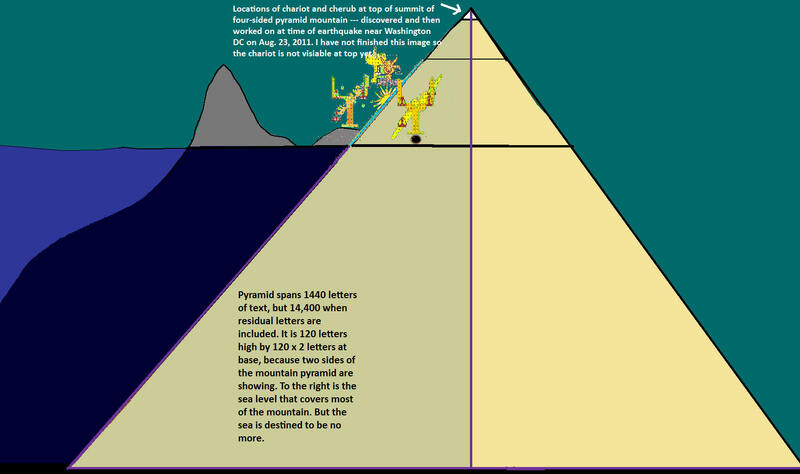 The intent of the email was to explain the significance of why the comet's demise occurred at the same time as when the the fallen Seraph (picture code), (located atop the pyramid), was discovered. However, this is just another token sign -- keep that in mind! It does not mean that Jesus will return at this time!!! On 19 August 2011 comet Elenin was hit by a coronal mass ejection (CME). However, its near-passing of the sun, along with a blast from the sun (CME), will likely prevent the comet from being as bright as originally predicted by astronomers at the beginning of this year as shown in the above image. It's remnants, nevertheless, will still be in the above position at the mouth of the Lion on the first day of Tabernacles. The comet (or comet debris) will also be between the feet of Leo on the Day of Atonement, 2011, five days before Tabernacles. Also, see pyramid-shape formed by the sun, moon and stars (and comet Elenin on Sept. 27 (and thus 1290 + 1335 days from prediction, etc), and by the three storms Oct. 12! The LORD-God will overcome all false gods! The email response follows this update, Oct. 6-9, 2011. Strong Falling Star event expected in constellation of The Dragon on the Day of Atonement, even as comet Elenin will (or was) to make its appearance. Click here for more on that! (MSNBC) Some of the best places to watch the Draconids this year are spots around the Mediterranean or the Middle East, he added. These regions will likely have clear skies, while Northern Europe tends to be cloudy at this time of year." (Update: There were about 660 meteors per hour at its peak, at 4:10 pm EST. "The Draconid occurs each October as Earth passes through a trail of dust left by the comet 21P/Giacobini-Zinner. The comet circles the sun every 6.6 years, and each time it circles, it leaves a ribbon — or filament — of space dust behind it." Interestingly, the number 666 is associated with "the dragon" in the book of Revelation, and here we have an orbit of "6.6 years" with "660 meteors" per hour. 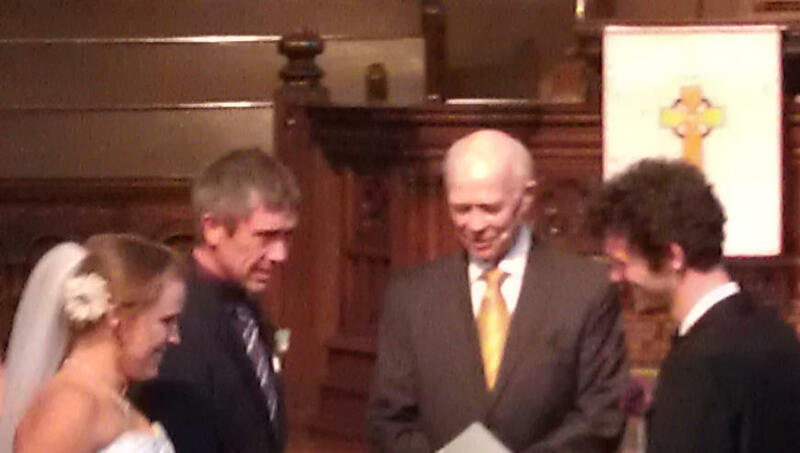 Also notice the counterfeit Trinity of Rev. 16:13. Also note that the Day of Atonement is associated with the Day of Judgement, and thus note verse 16 as well. 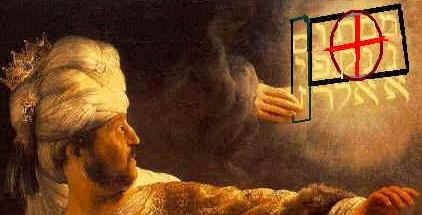 Even the comet, "21P", is 7 x 3, which perhaps in this context represents the counterfeit trinity. But do keep in mind that these are just ongoing signs, pictures in the heavens ordained by God to remind us of what will one day take place. Such signs have been occurring since man walked the earth, and so nothing more should be deduced from this sign other than it being just another reminder of what was, is, and is to come. Mat 24:36 But of that day and hour knoweth no man, no, not the angels of heaven, but my Father only. 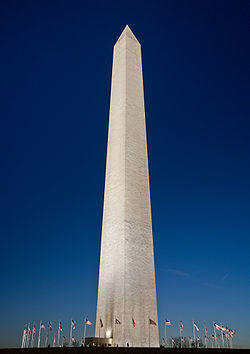 (Hence, these ongoing signs are just reminders to "Look up, for your redemption draweth nigh!" They are simply aids to help us keep a heavenly mindset and thereby be ready for His return. “The best estimate of the shower peak time is between 3-5 pm EDT on October 8. This favours locations in western Asia and Europe to see the peak display. There is uncertainty in the forecast and if it is off by a few hours later, the peak would happen after sunset in North America,” says Yee." 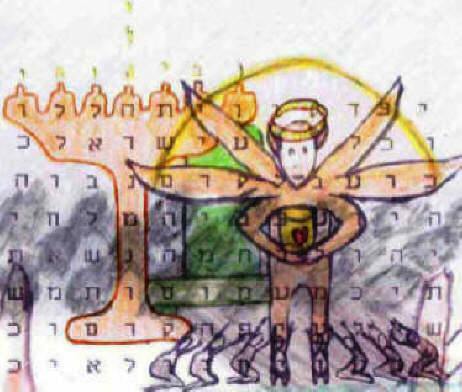 Above encoded image discovered seven-years before Tabernacles, 2011.
as predicted in the Lion Bible Code Acrostic. Above is my personal calendar marking the dates of the discovery of the acrostic and lion image. Lion image discovered on Oct. 8, 2004. Key Code to do with this discussion is the "Lion Bible Code". Sept. 4-5th, 2011. Today, God has been speaking to me about Comet Elenin, and why the CME blast on early Aug 16 knocked the stuffing's out of it three days later. I think my original thoughts on Elenin back in March were backward. Because the comet was to pass over Leo's mouth like another did seven years ago, I assumed that the comet represented the Lord, and indirectly it does. But now I realize that it represented imposters, imposters who will be destroyed by "the brightness of His coming". It is also interesting that on the device that looks for sun spots, when it observed this CME, "the morning star" (Venus) was above it and the CME ejected in front of it (even though, of course, it only appeared to hit it due to the angle of view). 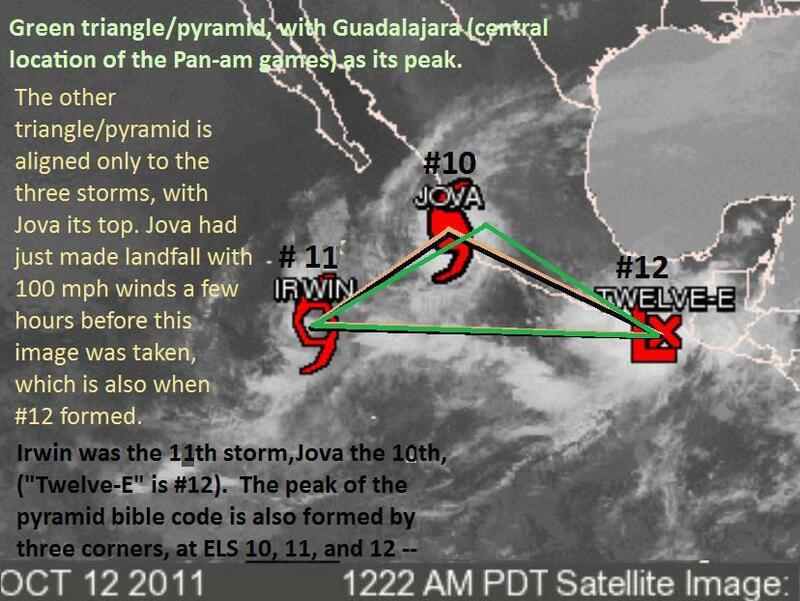 However, three days later it literally did hit Elenin, and that event seems to have hastened its demise. This three days was exactly timed to the events on the Picture Bible Code about the sun overlapping the Morning star, smiting Baal, who claimed to be this morning star and sun! 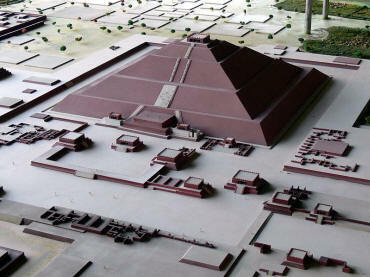 Another view of the Pyramid-Mountain. I know I am rambling here, but see image I drew that hour of the CME, of which I did not work on further for a few days. My thoughts are still in the process of forming concerning all this. Anyway, God bless you soooo much! (A personal sign: A Wedding! Recall that comet Elenin is associated in several ways with the "Lion of the Tribe of Judah", and also with the image of the Lion discovered at the end of Tabernacles seven years ago. That picture Bible Code of the Lion of Judah contains the name of Judah five times! Judah means "praise", and Zoe means "life". What better names to be symbolic of the wedding of the Lamb on this special day, while also in keeping with the symbolism of the Lion Code and Comet Elenin? Perhaps the timing of the cloud debris of comet Elenin an hour before the wedding (in this context) represents the rapture? That is, not visible by men? (The bible frequents uses a cloud to symbolize the ascension or return of Jesus Christ. In this case, the cloud of the rapture would not be visible to the eye, but later very visible when the saints return also in a cloud, this time to subdue the earth??? I am not sure of this, and am personal convinced that God leaves open the timing of the rapture to be either pre, mid, or post tribulational, or some slight variation of these three.) If so, I say again, the invisible cloud of Elenin would be just another sign of what is to come some time in the future. Don't expect the rapture itself!!! As a further update to this, please see the sign of the killing of Gaddafi of Libya 3.5 days later (and thus at the end of Tabernacles) as predicted by the Lion Acrostic and the Lion Bible Code! discovered a couple of weeks after the above email was written. and the Balance Bible Code have in common?" (Please see, "Possible Anomalies for Predictions for 2011 Storms" at the bottom of this table of Named Storms. 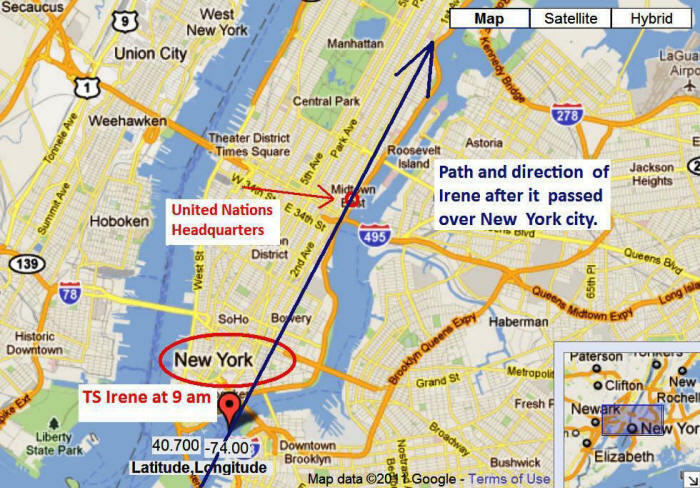 Note, 80 days ago, that is on July 15, 2011, I cached this page that you are now reading at www.webcitation.org/60CddAtvm in order to prove that the predictions were made before they happened. "I expect that any anomalies to the above variations will have to do with the Lion Bible Code, which is the companion code to the the Balance Bible Code. These two codes mirror each other numerically." "Based upon both the Balance Code and the Lion Code, I also expect that heavenly signs will work in synchronization with the hurricanes as well. 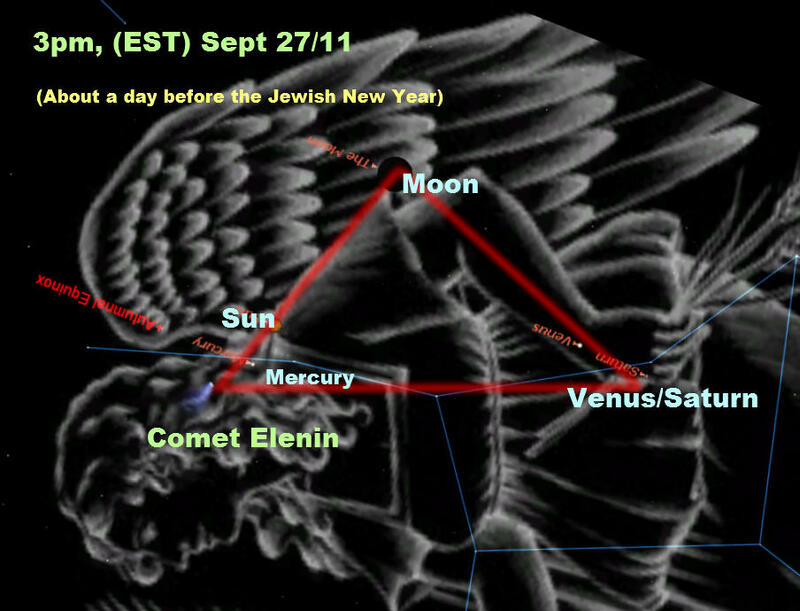 See Comet Elenin, for example, predicted by the Lion Bible Code. Even if Comet Elenin proves to be just a comet visible with binoculars, its position in the heavens still speaks volumes in that it dove-tails with the predictions of that code. It simply means that Comet Elenin is a token sign of Christ's coming -- just a small token sign of the main one to come sometime in the future, of which only God knows when." Above is my personal calendar marking the dates of the discovery of the acrostic and lion image. Lion image discovered on Oct. 8, 2004. What Does Comet Elenin Symbolize? I believe that, based upon the Lion Bible Code, Comet Elenin symbolizes both the scepter/comet of all antichrists, but also of the true and only Christ, just as it did in the Lion Bible Code discovered seven years ago. Bluntly put, Comet Elenin symbolizes the attempt by world leaders to usurp the place that belongs only to Jesus Christ -- world leaders like the Pope and the Palestinian Prime Minister, both who lay claim to Jerusalem. This agrees completely with events of seven years ago when this code was discovered, and with events 3.5 years after that, and now 3.5 years after that, that is, seven years later. Based upon both the Balance Code and the Lion Code, I also expect that heavenly signs will work in synchronization with the hurricanes as well. See Comet Elenin, for example, predicted by the Lion Bible Code. Even if Comet Elenin proves to be just a comet visible with binoculars, its position in the heavens still speaks volumes in that it dove-tails with the predictions of that code. It simply means that Comet Elenin is a token sign of Christ's coming -- just a small token sign of the main one to come sometime in the future, of which only God knows when. In the following verses, the "tribulation" spoken of here by Jesus lasts seven years, 1260 + 1335 days (or a variation of this numeric), that, according to most students of bible prophecy. "But immediately after the tribulation of those days the sun shall be darkened, and the moon shall not give her light, and the stars shall fall from heaven, and the powers of the heavens shall be shaken: and then shall appear the sign of the Son of man in heaven: and then shall all the tribes of the earth mourn, and they shall see the Son of man coming on the clouds of heaven with power and great glory," (Mat 24:29-30). Also see the chart: "Basic Outline of the 12 Naked-Eye Comets" for the first 1335 days of this period, as outlined earlier in this document. I believe that, based upon the Lion Bible Code, comet Elenin symbolizes both the scepter/comet of antichrists, but also of Christ, just as it did in the Lion Bible Code discovered seven years ago. Bluntly put, it symbolizes the attempt to usurp the place that belongs only to Jesus Christ by world leaders, but in particular, the Pope and the Palestinian Prime Minister, both who lay claim to Jerusalem. This agrees completely with events of seven years ago when this code was discovered, and with events 3.5 years after that, and now 3.5 years after that, that is, seven years later. Interesting the number of false prophets claiming Comet Elenin to mean more than the above simple truth. No it will not cause gravitational shifts, nor is it a UFO, or any other nonsense. 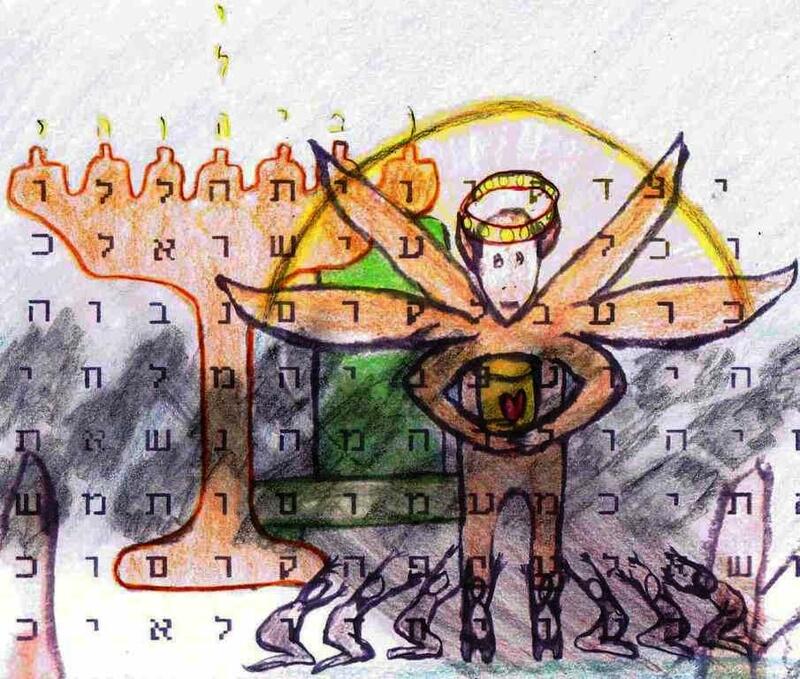 Elenin is simply another sign ultimately pointing to the coming Christ of "the Lion of the tribe of Judah", and is but one of many signs in the heavens that God has given over the past seven years. Below is another early article, written about February, 2011, concerning Comet Elenin. The original is found here, "Predictions for 2011". Moreover, April 28 to May 12, 2011 suggests that a comet may appear in the sky. (But see above note about Mubarak. Perhaps the above is this comet, except half-a-year late according to the same numeric, but from the companion Lion Bible Code rather than the above Balance Bible Code.) This is seven years after when the "12 comets" first began in Passover of 2004. 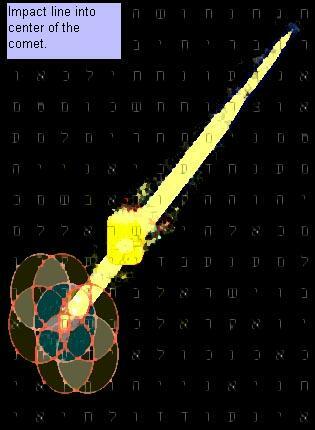 Moreover, the image of the comet/scepter in the Balance Bible Code itself is dated thus. But will there be variations to our neat time-frame? I have presented what makes the most sense to me from my own study, based upon past patterns. But still, I ask myself: Will the time frame be 1260 + 1260 days, or 1290 + 1290 days, or perhaps even the 1260 + 1335 days of Daniel 12? However, as said, when there are different possibilities, they can usually be narrowed down by other concurring factors from entirely different sources, and in this case, a comet appearance favors 1260 + 1260 days, (or more likely 1260 + 1290 days), from Passover of 2004, and this is also in agreement with the dates encoded within the Balance Bible Code image of the scepter/comet. 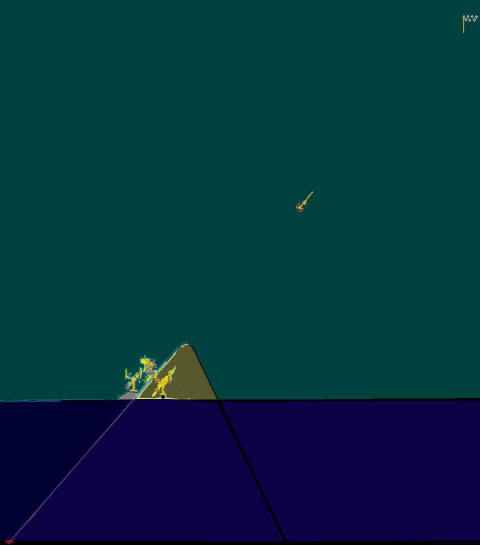 Perhaps nothing will happen, but instead the comet will appear 15 years from then instead, and so fulfill the same pattern in a slightly different way? More often than not, all time frames are used by God in some way to mark the event, and not merely just one or the other. I mention these things only as something to watch for. There can, and likely will be, some unexpected twists to any numeric because God knows all the factors involved, including hidden ones man knows nothing of. Or perhaps nothing at all will happen so as to say to me that He does not want me to guess, but just watch and then ponder. But that proves little to the skeptic, and so I here venture some of these reasonable speculations that are based upon the hundreds of past patterns that have come to pass over the years that I have been observing and recording on my websites since Oct. 22, 1991. Also see article on what date I think Mubarak will resign from office. Also see supplemental article about the great Japan Earthquake on March 11, 2011. 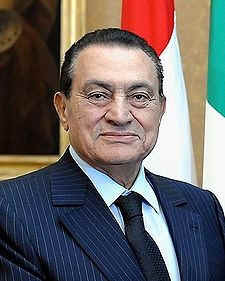 See article about Egyptian President, Mubarak, for more about this comet. I will soon give an update about this comet here in this article on the Hanukah Fire. See www.360calendar.com for chart and notes. Venus is called, "The son of the morning", (Isa. 14:12). Here it is seen in the tail of Comet Elenin, Sept. 21-22, 2011. "The scepter/comet of Man is among them!" Right image of the 'Lion of Judah' with 'Star of David', discovered Sept. 21/11 at 1 pm (and star at 6 pm). This was the day of Obama's speech at the UN concerning Palestine statehood (that contradicted an earlier speech that angered Israel), and which was two days before Palestinian President Mahmoud Abbas formally asked the United Nations to grant a Palestinian statehood. I hope to explain all this soon, but numerically, the timing of Sept. 21st and 23rd have to do with 586 BC (the fall of Jerusalem) and AD 1967 (recovery of Jerusalem). 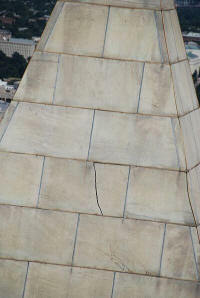 For more about the Palestine Statehood, click here for, "My Dream of Falling Rock/Roof", (10 am Friday, Sept. 23/11). Also see, "Sign of Washington Earthquake, and Hurricane Irene overtop the UN building." For my very first thoughts on Elenin in February of 2011, click here! Who is the real Lion? after the prophecy of Ezekiel 32? (This article will be updated as events unfold in relation to the 8 dates predicted. Note: We are not saying that these events are in fulfillment of this prophecy from Ezekiel, but that these events are token fulfillments to remind us that --- just as God fulfilled these things in the past, so He still rules today over the affairs of men, and sets in power whomever He wants. In the following, I am not predicting these things as a "Thus sayeth the Lord!, but simply from studying previous patterns related to the codes and thereby deducing likely future scenarios. 2. Ezekiel 32:1, 17, are the last two dates given in the book of Ezekiel in a string of prophecies about Egypt. 3. They are dated Adar 1st and 15th of 585 BC, which was about half-a-year after the fall of Jerusalem in 586 BC. 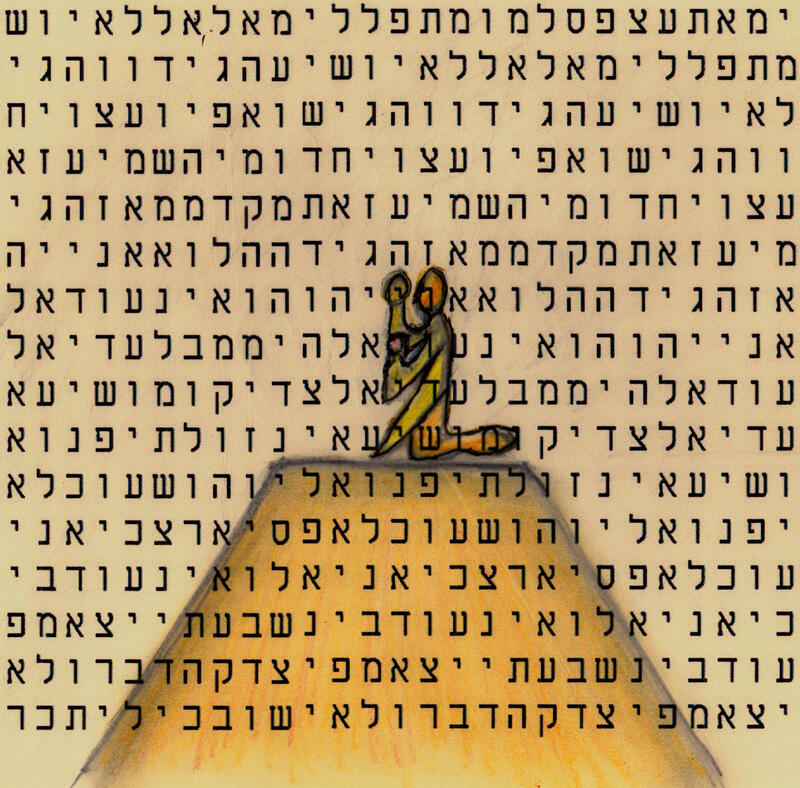 This year, Adar 1st and 15th falls on Feb. 5 and 19, and again on March 7 and 21. It just happens that there are two months of Adar this year, something that happens every 2 or 3 years in the Jewish calendar. (Second Adar is a leap month.) A day runs from sundown to sundown. 4. 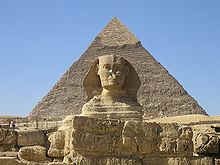 The prophecy about the fall of "King Pharaoh" of Egypt, in modern terms corresponds to President Mubarak of Egypt. Although this prophecy has already been fulfilled thousands of years ago, yet God gives token fulfillments to remind us that He is Sovereign over the nations even today. 5. The prophecy on Adar 1st seems to fit Mubarak better than Adar 15th does, but we will see. It appears that he will be 'dragged out of office like a beast caught in a net and dragged away by many peoples'. Eze 32:2 Son of man, take up a lamentation over Pharaoh king of Egypt, and say unto him, Thou wast likened unto a young lion of the nations: yet art thou as a monster in the seas; and thou didst break forth with thy rivers, and troubledst the waters with thy feet, and fouledst their rivers. Eze 32:3 Thus saith the Lord Jehovah: I will spread out my net upon thee with a company of many peoples; and they shall bring thee up in my net. Expect some token fulfillment of the prophecy of Ezekiel 32. As I said, it appears that he will be humbled and disgraced by being figuratively 'dragged out of office like a beast caught in a net and dragged away by many peoples'. January 11th or 25th, plus it's 30-day repeat: February 10 or 24th, (that is, the 1st or 15th of "the 12th month" on the 360 calendar). As it turns out, the uprising in Egypt also began on January 25th, (i.e., "12th month, 15th day", on the 360 calendar, as per Ezekiel 32:17). Mubarak has agreed to not run again in the upcoming September election, and in this sense, his 30-year reign has already come to an end, and in this sense the (token) prophecy was fulfilled on Jan. 25th, 2011, the day of the uprising, which, as said, was "the 12th month, the 15th day" on the 360 calendar. But we will watch and see what may yet happen on the dates specified as well. It is interesting that a comet associated with a lion is set to appear in September, Comet Elenin. An article will soon be put out to do with Comet Elenin and its significance as it relates to several bible codes. Ezekiel 32 says that the king of Egypt may think he is a lion, but in reality he is a monster! So it is with Mubarak. And who is the real lion? Jesus (Yeshua), the Lion of the tribe of Judah! 1. Technically, "the 12th month" refers to First Adar, since it is the 12th month of the Jewish year, spring to spring calendar, but it also appears that "the 12th month" may include the special 13th month of Second Adar, and so I have included it as well. For example, Purim is celebrated on Second Adar this year, even thought the book of Esther calls it the "the 12th month". Est 9:1 "Now in the twelfth month, which is the month Adar..." (and see verse 18). 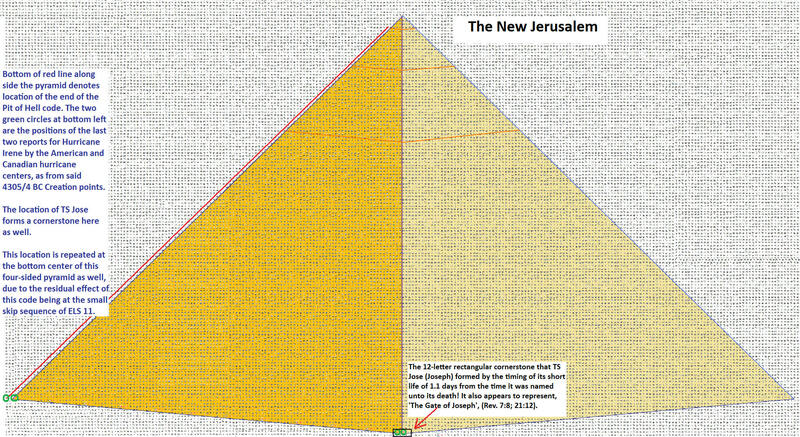 2300 days after the above image was discovered, the Jan. 25, 2011 revolt began, (see Dan. 8). Above is my personal calendar marking the dates of the discovery of the acrostic and lion image. Lion image on Oct. 8, 2004. It happens that 2300 days later is the Mubarak uprising, (an important time frame in the bible, Dan. 8). Click image to enlarge. 2. Mubarak came to power Oct. 14, 1981, (during Tabernacles, Tishri 16). Note Ezek. 32:2 about the "lion": "Son of man, raise a lamentation over Pharaoh king of Egypt and say to him: "You consider yourself a lion of the nations..."
Tishri 15th, 1981, is exactly 3.5 years before Passover of 1985, which was 70 x 7 x 7 years to the day from when Israel left Egypt in 1446 BC. The bible divides this last seven years in half, that is, "3.5 years", thus landing on the exact day when Mubarak became leader of Egypt, (Dan. 9). The 360 calendar is perfectly aligned as well. I have detailed the importance of the jubilees of 70 x 7 x 7 often on our websites as a search on Google will show. Moreover, Mubarak replaced Anwar Sadat, who was assassinated 8 days before he ascended, that is, Tishri 8th (7th on the Islamic calendar, Oct. 6, 1981.) This also happens to be the 120th jubilee (120 x 7 x 7 years) from the minimum creation date of Tishri 7th, 3900 BC. A search of Google will also verify that this is the min. 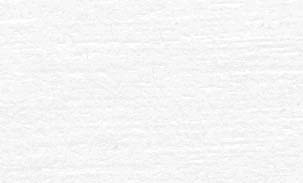 date for Creation that is used on our websites for almost two decades now. So, what are the odds of these two events -- the death of one "Pharaoh" (Sadat), and the usurping of power by another (Mubarak), each on specific dates aligned precisely to past events of signal importance? All of history shows forth God's sovereign power over the affairs of men. 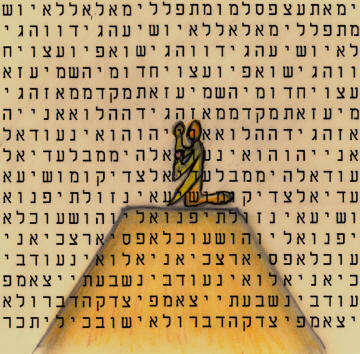 Eze 32:31 Pharaoh shall see them, and shall be comforted over all his multitude, even Pharaoh and all his army, slain by the sword, saith the Lord Jehovah. Eze 32:32 For I have put his terror in the land of the living; and he shall be laid in the midst of the uncircumcised, with them that are slain by the sword, even Pharaoh and all his multitude, saith the Lord Jehovah. Eze 32:4 And I will leave thee upon the land, I will cast thee forth upon the open field, and will cause all the birds of the heavens to settle upon thee, and I will satisfy the beasts of the whole earth with thee. Eze 32:5 And I will lay thy flesh upon the mountains, and fill the valleys with thy height. Eze 32:6 I will also water with thy blood the land wherein thou swimmest, even to the mountains; and the watercourses shall be full of thee. Eze 32:7 And when I shall extinguish thee, I will cover the heavens, and make the stars thereof dark; I will cover the sun with a cloud, and the moon shall not give its light. Eze 32:8 All the bright lights of heaven will I make dark over thee, and set darkness upon thy land, saith the Lord Jehovah. Eze 32:9 I will also vex the hearts of many peoples, when I shall bring thy destruction among the nations, into the countries which thou hast not known. Eze 32:10 Yea, I will make many peoples amazed at thee, and their kings shall be horribly afraid for thee, when I shall brandish my sword before them; and they shall tremble at every moment, every man for his own life, in the day of thy fall. Eze 32:11 For thus saith the Lord Jehovah: The sword of the king of Babylon shall come upon thee. Eze 32:12 By the swords of the mighty will I cause thy multitude to fall; the terrible of the nations are they all: and they shall bring to nought the pride of Egypt, and all the multitude thereof shall be destroyed. Eze 32:13 I will destroy also all the beasts thereof from beside many waters; neither shall the foot of man trouble them any more, nor the hoofs of beasts trouble them. Eze 32:14 Then will I make their waters clear, and cause their rivers to run like oil, saith the Lord Jehovah. Eze 32:15 When I shall make the land of Egypt desolate and waste, a land destitute of that whereof it was full, when I shall smite all them that dwell therein, then shall they know that I am Jehovah. Eze 32:16 This is the lamentation wherewith they shall lament; the daughters of the nations shall lament therewith; over Egypt, and over all her multitude, shall they lament therewith, saith the Lord Jehovah. Eze 32:18 Son of man, wail for the multitude of Egypt, and cast them down, even her, and the daughters of the famous nations, unto the nether parts of the earth, with them that go down into the pit. Eze 32:19 Whom dost thou pass in beauty? go down, and be thou laid with the uncircumcised. Eze 32:20 They shall fall in the midst of them that are slain by the sword: she is delivered to the sword; draw her away and all her multitudes. Eze 32:21 The strong among the mighty shall speak to him out of the midst of Sheol with them that help him: they are gone down, they lie still, even the uncircumcised, slain by the sword. Eze 32:23 whose graves are set in the uttermost parts of the pit, and her company is round about her grave; all of them slain, fallen by the sword, who caused terror in the land of the living. Eze 32:24 There is Elam and all her multitude round about her grave; all of them slain, fallen by the sword, who are gone down uncircumcised into the nether parts of the earth, who caused their terror in the land of the living, and have borne their shame with them that go down to the pit. Eze 32:25 They have set her a bed in the midst of the slain with all her multitude; her graves are round about her; all of them uncircumcised, slain by the sword; for their terror was caused in the land of the living, and they have borne their shame with them that go down to the pit: he is put in the midst of them that are slain. Eze 32:26 There is Meshech, Tubal, and all their multitude; their graves are round about them; all of them uncircumcised, slain by the sword; for they caused their terror in the land of the living. Eze 32:27 And they shall not lie with the mighty that are fallen of the uncircumcised, that are gone down to Sheol with their weapons of war, and have laid their swords under their heads, and their iniquities are upon their bones; for they were the terror of the mighty in the land of the living. Eze 32:28 But thou shalt be broken in the midst of the uncircumcised, and shalt lie with them that are slain by the sword. Eze 32:29 There is Edom, her kings and all her princes, who in their might are laid with them that are slain by the sword: they shall lie with the uncircumcised, and with them that go down to the pit. Eze 32:30 There are the princes of the north, all of them, and all the Sidonians, who are gone down with the slain; in the terror which they caused by their might they are put to shame; and they lie uncircumcised with them that are slain by the sword, and bear their shame with them that go down to the pit. 1. Already we have seen that the revolts began on the 2nd date of the 8 dates specified, (i.e., Jar. 25, 2011). We suggested that more than one date would be used by God to make His point --- that He is sovereign over the nations. 2. Unwittingly, I wrote the above article as the "1st Adar 1" was just beginning in Egypt, the third of the 8 specified dates. (The day begins at sundown.) As it turns out, later on this same day, news circulated around the world on every news agency that Mubarak had resigned as President. However, Egyptian state television reported on Saturday that the entire executive board of the ruling NDP had resigned, and this was confused with Mubarak's resignation as President. ('President' and 'Head of the ruling party' are two separate things.) Two days later the news reports are still very confused on the issue. Here is a quote from Wikipedia on Feb. 7. "Beginning on January 25, 2011, a popular uprising called for his resignation as president of Egypt. On February 1, 2011, Mubarak announced that he will not seek another term in the upcoming presidential election. On February 5, 2011 Egyptian state media reported that senior members of the ruling National Democratic Party, including President Hosni Mubarak, had resigned from leadership roles within the party. It was later clarified that Mubarak would stay on as president however." 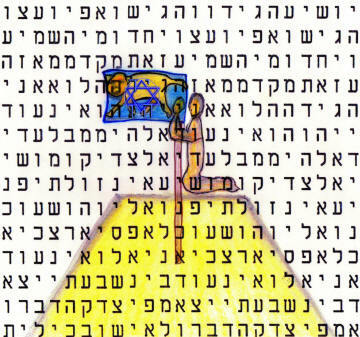 Also, 2300 days after the below bible-code pictogram was discovered, the Jan. 25, 2011 revolt began, (see Dan. 8). 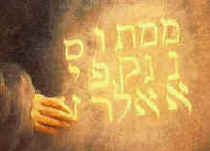 It is encoded in Genesis 49:10, which is a prophecy uttered by Jacob before he died while in Egypt. Thus, Jesus is what nations hope for, though they know it not. Only He can make men free. 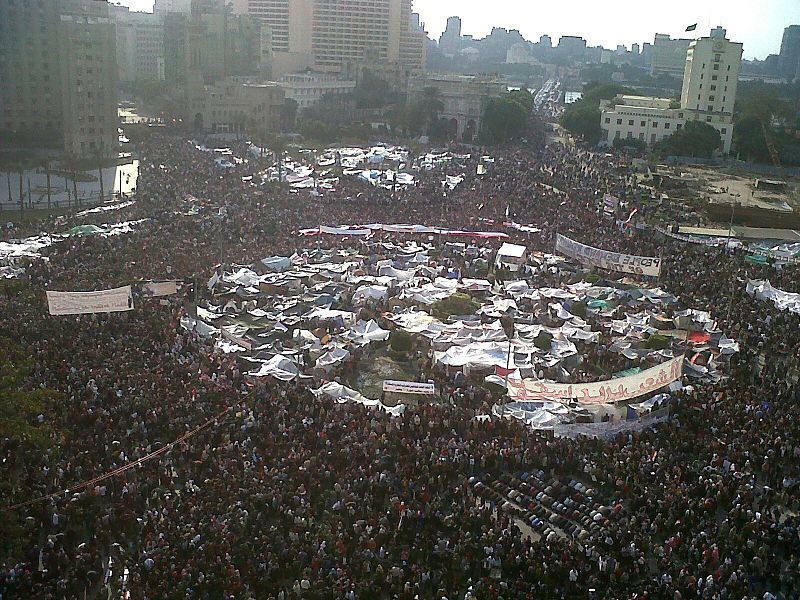 Below is Tahrir Square, Egypt, the week of Feb. 4 to the 11th, 2011--- A sign of what's to come! Many Egyptian's camped in tents in protest, and is a sign of what is still to come, that is, of the above prophecy from Zechariah 14. Zec 14:16-19 "And all they that shall be left of all nations that came against Jerusalem, shall go up from year to year, to adore the King, the Lord of hosts, and to keep the feast of tabernacles. And it shall come to pass, that he that shall not go up of the families of the land to Jerusalem, to adore the King, the Lord of hosts, there shall be no rain upon them. And if the family of Egypt go not up nor come: neither shall it be upon them, but there shall be destruction wherewith the Lord will strike all nations that will not go up to keep the feast of tabernacles This shall be the sin of Egypt, and this the sin of all nations, that will not go up to keep the feast of tabernacles." An important announcement by Mubarak was said to be coming that day. Egypt and much of the world waited in anticipation and expectancy that this would be the day --- when Mubarak will down as President. They waited, but when the speech by Mubarak finally came, Mubarak was defiant and stated that he would "not be dictated to by foreign powers", (i.e., America). However, he also said that he would begin to relinquish some of his existing power over to the Vice President. At the same time, it also confirmed that there was room for his resignation in the days and weeks to come. This infuriated the multitudes, however, and it fueled the revolt even more so that on the next day Mubarak felt compelled to step down. This was announced by the Vice President a few minutes after 6 pm, Feb. 11, Egyptian time. And so the prophecy came true, Mubarak was dragged away as in a net from his position of power. And it is interesting that the bible referred to being dragged away in a "net", because it was the freedom of speech on the interNET that organized the crowds that eventually led to Mubarak's downfall. But the big question for me is, "Why the delay of one day from the date specified?" "Why was he dragged from power on the 12th month, the second day, rather than on the specified first day?" There are two reasons: One is to teach that God may delay a day, but yet it is still on the exact day that He intended. We just didn't figure it out perfectly. Close, but not perfect! First, why Feb. 11, 2011 is the correct day. Yes, off by a day, but observe that the delay of a day was intended by God in order to link this event with the anniversary of the siege of Jerusalem 1150 days prior, which siege was 1260 + 1335 years from the actual event as recorded in Ezekiel. For the importance that the bible puts upon these three time frames, that is, 1150, 1260 and 1335, please see the bible numbers website. Also see the recent article about the Mount Carmel Hanukah Forest Fire -- thus the theme of the 1150/2300 days continues. As a matter of fact, I wrote my last thoughts on the Mt. Carmel fire the same day the revolt began in Egypt, i.e., Jan. 25, 2011. Just as it is 2300 days from the Lion Bible Code (see about the comet) to the day when the revolt in Egypt started, i.e., Jan. 25, 2011, and just as that 2300 is divided in the middle as 1150 days at the start of the siege of Jerusalem on the 360 calendar, so it happens that from the actual Jewish anniversary for the start of the siege of Jerusalem in 589 BC, Teveth 10, unto Feb. 11, 2011 are also 1150 days. This period of time represents a period of trouble. So, given all the facts, it made much more sense for the overthrow of Mubarak to occur one-day after the predicted date, although I did not notice the rational for the day delay until after the fact. But one thing I did know from my ongoing intensive study of these things over the past two decades, when God appears to be out a day, there is always a very good reason for it!!! So look for it!!! Expect the unexpected. And expect a very good reason for the unexpected too! 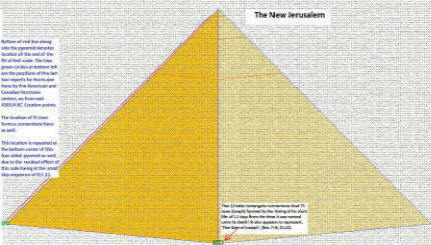 Below is the chart about the significance of 2012 posted a year ago. I place this here to show that the notion of the dates of Ezekiel forwarded by the said 1260 + 1335 years is not some new and convenient invention, but rather part of a long ongoing study. The article about 2012 also touches on the related theme of the fall of the king of Babylon (rather than as here, the fall of the king of Egypt). 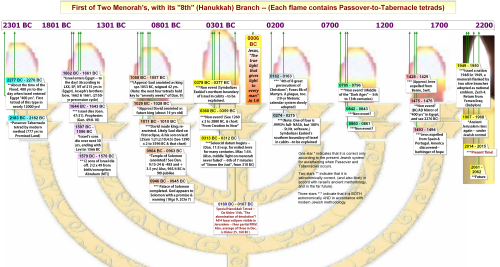 Another pattern: As seen in the lower left of the above chart, from Ezekiel's symbolic siege of Jerusalem unto the end of the literal siege of Jerusalem was seven years. This, plus another seven months brings us to the seventh day of Adar, which is when Mubarak stepped down. The number 'seven" is therefore being highlighted three times, and is the same pattern found in Ezekiel 39:9,14. However, as in the above chart, the pattern appears to involve two seven-year periods, as seen in the above chart at lower right. Thus, with the dates, 2003 to 2010 to 2017 the "seven years of burning weapons" would occur following a previous seven years of conflict. However, these two sevens seem to be mirroring each other. Always keep in mind that these events are just incomplete shadows of what is to come. They are there to warn, encourage and teach us. The next seven years promises to be an interesting learning experience! Compare this judgement in Ezek. 38-39 to Zech. 14, the same passage mentioned earlier! Moreover, note also that Tabernacles occurs on the 7th month and lasts 7 days, which month is set apart as particularly special every 7th year, (Lev. 23 and 25). What lesson is to be learned by the delay of a day? The reason seems obvious to me. I just happened to have been pondering the whole matter of a year and a day delay, but to do with a whole other matter. (In this case it had to do with the upcoming comet in September). And, so, the message is the same for both events: Though the prophecy lingers a day or even a year (for a day is as a year in bible prophecy), wait for it! It shall not fail! The Lord will come and take the scepter from Egypt and transfer it to "the One to whom it rightfully belongs", the One who will rule all the world from Jerusalem, Jesus the Messiah! Hab 2:3 "For the vision is yet for an appointed time, but at the end it shall speak, and not lie: though it tarry, wait for it; because it will surely come, it will not tarry." Luke 12:46 "The master of that servant will come on a day when he does not expect him and at an hour he does not know, and will cut him in pieces and put him with the unfaithful." Thus, the prophecy both delayed and did not delay. It came to pass as expected, but unexpectedly delayed one day. Yet all was fulfilled in such a way as to leave no doubt that God rules over the affairs of men. We know this because the conflict that led to Mubarak's overthrow also began on one of the eight days specified, (i.e., Jan. 25), as did the resignation announcement from the ruling party (on Feb. 5th), and then the anticipated, but delayed, announcement on Feb. 10th. The remaining five dates are still worth watching, and also which date the election will occur in Autumn, and how that might relate to the comet. (Sept. 21-22, 2011 would be my best choice! Isa. 14:12.) I strongly suspect that God will cause another related event to happen on one or more of these dates in order to make up for what some may see as a miss on the predicted date --- a close miss, but still a miss. Yet, God makes no mistakes, and in keeping with His character, He may prove just that. (He proves that He is real so that men may revere Him, that He may show mercy. God delights in mercy.) The year was right, but the day delayed by just one. But the lesson is important: Be always ready! We will not always be able to figure things out, especially to the very day and hour. So, be always ready! Our trust is in the Great Timekeeper, not the clock itself. Expect the unexpected. One final statement. To repeat: We are not saying that these events are in fulfillment of this prophecy from Ezekiel, but that these events are token fulfillments to remind us that --- just as God fulfilled these things in the past, so He still rules today over the affairs of men, and sets in power whomever He wants. Dan 4:25 "...that thou (i.e., the king of Babylon) shalt be driven from men, and thy dwelling shall be with the beasts of the field, and thou shalt be made to eat grass as oxen, and shalt be wet with the dew of heaven, and seven times shall pass over thee; till thou know that the Most High ruleth in the kingdom of men, and giveth it to whomsoever he will." Also, a lesson that I was reminded of was this: That, even though the time comes for a prophecy to be fulfilled, yet we still need to pray that it not be delayed. Dan 9:2-3 "In the first year of his rule, I, Daniel, saw clearly from the books the number of years given by the word of the Lord to the prophet Jeremiah, in which the making waste of Jerusalem was to be complete, that is, seventy years. And turning my face to the Lord God, I gave myself up to prayer, requesting his grace, going without food, in haircloth and dust." 2Peter 3:11-12 "Therefore, seeing that all these things shall be dissolved, what sort of people ought you to be in holy conduct and godliness, looking for and hastening the coming of the day of God, because of which the heavens, being set of fire, shall be dissolved, and the elements, burning with heat, shall melt?" 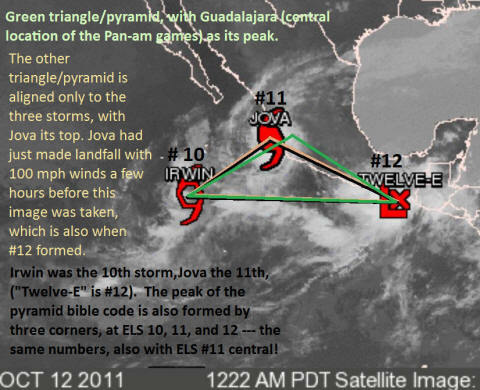 Also see article about other events predicted for 2011. Venus is called, "the son of the morning" (Isa. 14:12). Comet Elenin was discovered by Leonid Elenin, whose name means, Lion"! And is in Leo (the lion) at Tabernacles, and could create a meteor shower just before the annual Leonid ("lion") meteor shower. Clearly, God is saying that this comet symbolizes the coming of the Lion of Judah! But this is just another token sign -- keep that in mind! It does not mean that Jesus will return at this time!!! Comet Elenin will be explained in detail soon, so check "New Codes" section often. 4. Will the fall of Egypt's leader spur to the fall of others? This would fit well the prophecy of Ezekiel 32 that laments the roster of dictators that also fall like Pharaoh, and by the which "Pharaoh" is consoled that he is not the only one! 5. Also see supplemental article about the great Japan Earthquake on March 11, 2011. Thus the earthquake that shook Washington, cracking the pyramid at the top the obelisk, occurred on the first day of Tabernacles, and the storm has been pounding places ever since, and will do so until the end of Tabernacles -- as predicted!!! 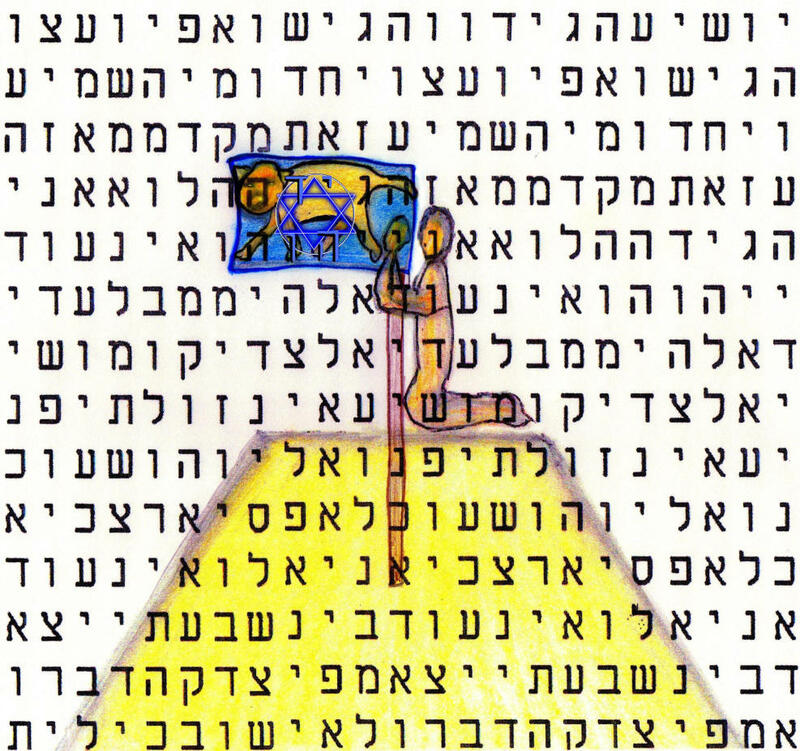 The encoded image is made up of 14,400 letters (with its residual effect), 1440 actual letters, and 144 symbolic day/years. Upon its top stands the chariot of God and a kneeling cherub. The quake happed the same hour that I finished discovering, firstly, Baal of Babylon -- forced to bow at the peak, the kneeling cherub, a man with a rod whose rod strikes where the diamond cornerstone is laid, (which letter corresponds on the numeric grid to the very year, day, and hour of the great Japan quake, where it reads: "Japan"), the actual summit, a man with measuring line and reed, and the chariot, whose wheels face in anyone of 8 directions atop the peak. All this took a week to discover, from the very early morning of Aug. 16 unto the early afternoon of the 23rd. All these images are located at the extreme top diamond peak where it reads, "Jesus is My capstone", (among many other things). Only the cherub in flight remained to be discovered, which I located just yesterday. 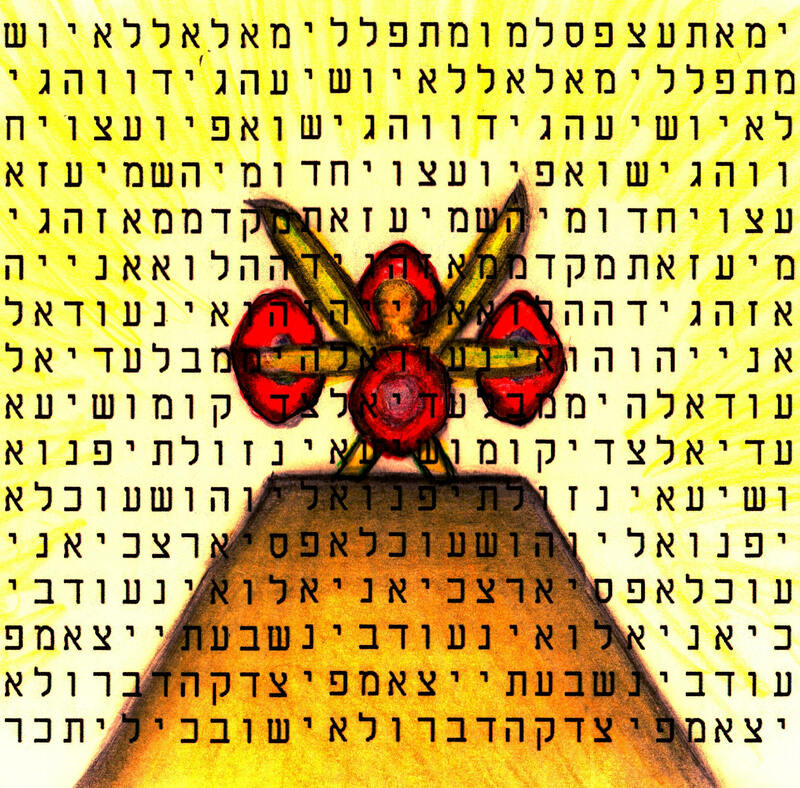 I will put out the details of this aspect of the Baal/Cherub Balance Bible Code Pictogram soon. And this is why you have not heard from me in the past week or so -- it's been an amazing week! Moreover, the discovery of the encoded image of a man with the rod striking "Japan" at the base of where the top cornerstone is to be laid, at the very spot that reads "Japan", the timing of that discover was accompanied by yet another earthquake --- again -- in Japan! on Aug. 19, 2011. This is what the Lord says, "Though they decrease, the house of Joseph will increase forever!" News that former Libyan leader Muammar Gaddafi has died has been confirmed by several NTC officials, but NATO has warned it will need more times to confirm the reports. The once flamboyant leader, known for his singular fashion sense, his Hungarian female bodyguards and his demonisation of the NTC fighters as rats has reportedly been captured hiding in a sewage whole, with reports immediately drawing comparisons to Saddam Hussein. Since the announcement of the dictator's capture and then death, graphic pictures and footage of a man, resembling Gaddafi and covered in blood have become viral. In an update bearing an "urgent" caption, pro-NTC Libya TV reports that Col Gaddafi's body has arrived in Misrata and NTC vice-chairman Abdul Hafiz Ghoga has been quoted as saying that the liberation of all of Libya will be announced within hours." "...His son, Mustassim is reportedly also dead,..."
"Reports from Misurata, Libya say that a few hours after the death of the former Libyan leader Muammar Al Qathafi, his second son Seif al-Islam has also been killed. If the death of Seif is confirmed, together with the death of the other son, Muatassim earlier on, the most military active elements of the Al Qathafi family and regime have been eliminated." Video of interim governments statements concerning the death of Gaddafi. Especially note this quote: "...Who has met his fate and destiny, which is the fate and destiny of all dictators and tyrants." The following is quoted from the Acrostic Code, discovered the last day of Tabernacles, which was exactly to the day, seven years before the death of Gaddafi! More of the code relates than is just quoted here. Also, see the article about Comet Elenin and the prediction back then of an event like this occurring during tabernacles. I hope to explain the details soon, as I have time. But note the prediction below that comet Elenin would dissolve, etc., and about the feast of Tabernacles, etc., and so much more! 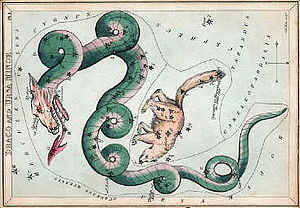 Also keep in mind that comet Elenin was in the constellation of The Crab as predicted by the code, when Gaddafi died. Keep in mind that comet Elenin was in the constellation of The Crab as predicted by the code, when Gaddafi died, having just left the constellation of The Lion! "...(Gaddafi) has met his fate and destiny, which is the fate and destiny of all dictators and tyrants." Subtract the date encoded (see below) where the Lion is trampling (i.e., AD 3271) by 1260 years and you get the year that God is trampling dictators underfoot, that is, AD 3271 less 1260 equals 2011. This year, God is trampling down the dictators of Egypt, Libya, etc. Moreover, the numeric goes on to connect with the present by seven years using the symbolic day-year method, etc, etc. etc... Again, these dates are encoded within the lion itself, and has been on the internet seven years now! "O enemy, a Great Leader is coming --- a mighty Ram, you arrogant ones! I will drink deeply and stutter like a drunk! And they, too, will drink the blood of the grapes. For He comes to bind them to the vine and to trample down the grapes!" Below image: Symbolic dates based upon letter position of lion's star-scepter are as AD 3220 (#7522.8) to AD 3261 (7563.9) for star. (Center of star is #75282, or as AD 3225.) And Lion spans from as AD 3250 (#7552.8) to AD 3271 (#7574.4) for lion. All as from Creation 4304 BC, spring. I quote more of the Acrostic below. Notice how it is implied that the son of the dictator (Gaddafi and Saddam) would die as well. "I desire the territory of my Prince. I desire you, even my people! For the Ruler (the One speaking in riddles) is angry with good reason --- a Lamb! Moreover, ask about the meaning of the prophecy that concerns them. He returns, coming against a bull-calf (and against the calf's father!) --- when I come!" Images of residue of comet Elenin was last seen Oct. 21 and 23, 2011. It was the first confirmed sighting in a long while. An article by Sky & Telescope says that only 10% of comets like Elenin disintegrate like this. Alas, it was not to be. About 10% of such long-period comets randomly break apart on their first visits to the inner solar system, and Comet Elenin drew the short straw. By April the icy interloper was showing signs of pooping out, and it appeared to completely self-destruct about three weeks before perihelion. "Disintegrating comets (as opposed to splitting ones) do not survive very long after the process has been observed to begin, which in the case with Comet Elenin was all the way back in the end of August," explains John Bortle, who's tracked the passages of these icy bodies for more than 50 years. "The decline/fade of Elenin was abrupt and dramatic." Interestingly, the last telescope-sightings of Elenin on Oct. 21, 2011, happened to be 2300 days from Deep Impact Bible Code, and Oct. 23, 2011, on the symbolic day/year grid happens to symbolize as AD 586, the mirror of 586 BC, which was the fall of Jerusalem. (Recall the Lion of the Lion Code, trampling down underfoot. 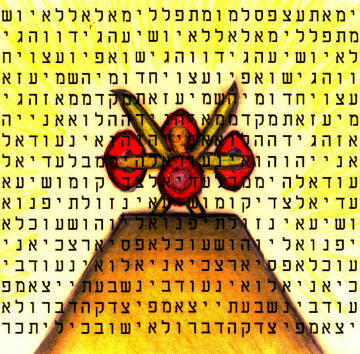 Also see the Dragon Bible Code.) Moreover, a 7.2 earthquake occurred in Turkey near the Iran border on Oct. 23, 2011, as well, killing hundreds. "And they shall fall by the edge of the sword, and shall be led away captive into all nations: and Jerusalem shall be trodden down of the Gentiles, until the times of the Gentiles be fulfilled. In ancient days, comets and planets were called "stars". Thus, note how the "sun, moon and stars (i.e., Comet Elenin, Mercury, Venus, and Saturn)" form the triangle within the "wings given" to Virgo (the Virgin). 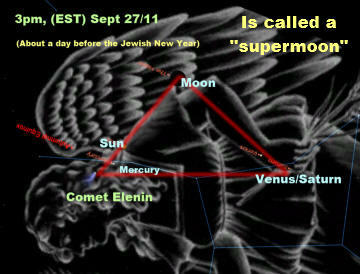 Sign in heaven: This sign in heavens occurs at the (Super) New Moon that heralds the Jewish New Year. This heavenly sign symbolizes the "New Jerusalem coming down from heaven" like a virgin ("Virgo", Rev. 14:4; 19:8) "bride adorned for her husband". Sign on earth: The outline of the three storms likewise forms the New Jerusalem about to land on earth and "tabernacle with man". Amazingly, it forms a tabernacle at the first day of the feast of Tabernacles! However, here it first lands in the foreign land of Mexico (rather than Israel) because God has not finished his contest with the false gods, and so it first comes to the Pan Am games thereby climaxing the contest that first began at Greece Olympic seven years ago. Rev 21:2-3 "And I John saw the holy city, new Jerusalem, coming down from God out of heaven, prepared as a bride adorned for her husband. And I heard a great voice out of heaven saying, Behold, the tabernacle of God is with men, and he will dwell with them, and they shall be his people, and God himself shall be with them, and be their God." Rev 21:9b-10 "...Come hither, I will shew thee the bride, the Lamb's wife. And he carried me away in the spirit to a great and high mountain, and shewed me that great city, the holy Jerusalem, descending out of heaven from God..."
Rev 12:1 "And there appeared a great wonder in heaven; a woman clothed with the sun, and the moon under her feet, and upon her head a crown of twelve stars..."